to provide you with affordable options to get the car you want. The application process could take less than two minutes to complete. Our car loan application is 100% free, no SIN required, and no obligation. 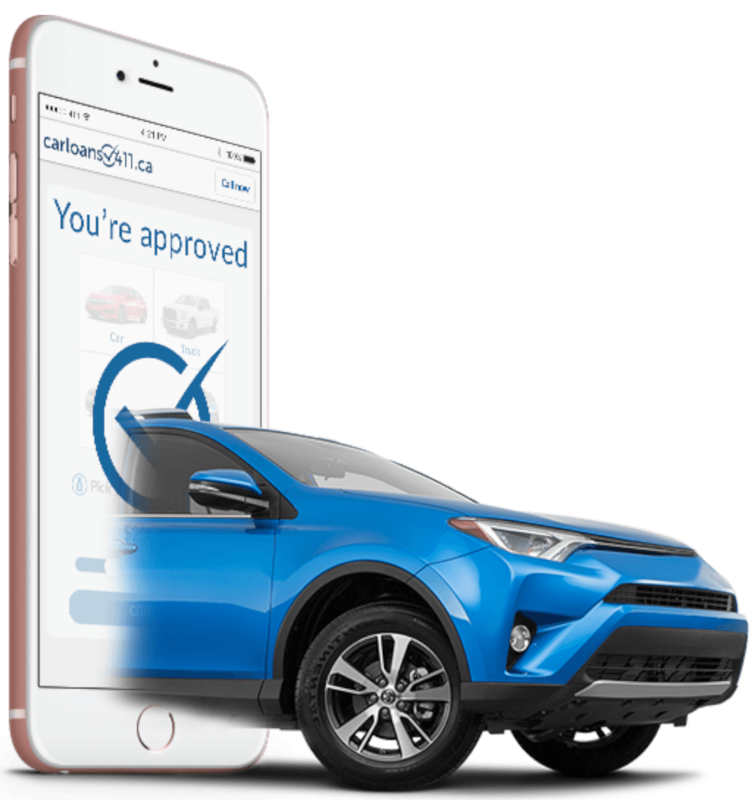 Once you submit your application, we will be able to connect you to with a suitable partner within our extensive network of dealerships across Canada who can help you regardless of your financial situation. This could be you, driving away in a new car. People have been able to get on the road in less than 48 hours. What are you waiting for? I just had a kid and as we know its hard to make ends meet sometimes and they helped me get a car loan with a rate I could actually pay. I’m so happy now that I don’t have to bus around with a stroller. Everyone was so kind and courteous, my credit was bad so they did everything they could to help me. Great experience! The team made it super easy for me to get into a new vehicle. As an entrepreneur I have no spare time to mess around vehicle shopping but Car Loans 411 did all the hard work for me and even got me a fantastic rate for my new Honda CRV. Thanks for the spectacular service! My experience with CarLoans411, was a delight. I spoke with real people who helped put me in a new car, even though I had bad credit. They were patient, listened to my needs and acted very professional. They helped me secure a good loan rate and they even let me choose my own car. They are truly experts in cars and car loans. I got a new job but it was over an hour bus ride to work. I needed a car but couldn’t get approved. I saw their ad online, I filled out the application and these guys helped me get a car and now I can get to work easily. I applied because the ad said it was free. I didn’t think I could get approved because of my credit but the next day a guy from a Nissan dealership called me and I got my car within 3 days! Try it out, it actually works! I needed a car to get to work. I saw their ad online so I applied for a quick car loan and let me tell you these guys work quick. A car loan specialist called me within minutes. I went into the dealership, told them about my situation and two days later I got my new car. Apply in minutes and one of our representatives will call you to discuss your options.